The nation state is now faced with unprecedented pressures. Global shifts (a medley of powerful forces in contemporary political economy, military affairs and international security, technology and communications, cultural changes, ecological challenges and so on) require policy solutions at levels of governance beyond traditional states. At the same time, and in part as a response to these wider forces and the uncertainty they bring in their wake, established national polities are challenged too by the rise of politicized sub-national (ethnic, religious, linguistic and cultural) movements. This phenomenon presents a challenge to the extant political systems and the elites who manage their affairs. Moreover, it offers a particular challenge to democratic states. Inasmuch as these polities celebrate the virtues of self-determination and encourage pluralism as a matter of course, flourishing and assertive movements demanding in some degree the re-negotiation of the national bargain, present a serious challenge to the continuity of historic national projects. At the same time, democracy is particularly well equipped, both as a discourse and method of practising politics, for accommodating cultural diversity. This book contains an overview of this challenge to the art of democratic government, and case studies from every region of the world. 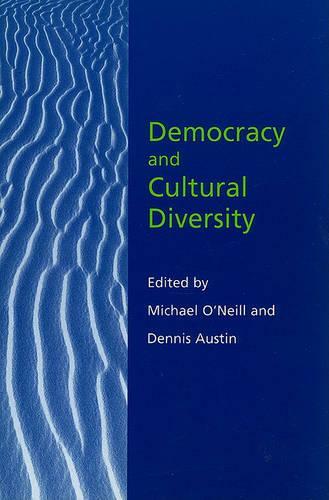 The contributions are by acknowledged international experts on how democratic states have confronted the task of managing cultural diversity and accommodating perceived differences of identity short of political break-up.